Great location - loved walking down the Telopea Park to the lake. Also close to walk to shops and quiet area. Very clean, comfortable and a great location to stay. Staff was so kind carrying our luggage up on check in then down on check out. 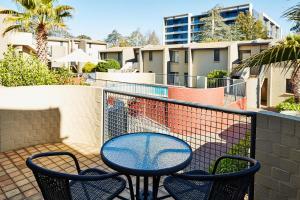 Comfortable apartments close to shops and restaurants at Manuka and Kingston. Walking distance to the Kingston Foreshore. Short drive to Parliament House and nearby national institutions. Clean, comfortabe, 15 minutes walk to shopping, just few minutes walk to bus stop to city. Bed was warm with electrict blanket. Our kids loved to stay there. Overall very comfortable, clean, pleasing colours, minimal noise and have all the comforts of home really. For what we paid (especially discounted) we got our money's worth. Our room was upgraded - so even better. Excellent parking facility. Modern, clean & with excellent decor. Lovely verandah seating with added bonus of small back balcony! Excellent reception from check in staff. Nice and clean. 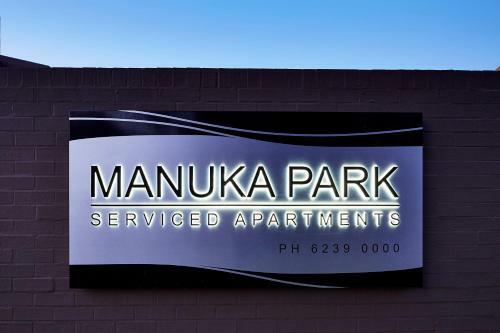 Lock in a great price for Manuka Park Serviced Apartments – rated 8.9 by recent guests! Manuka Park Serviced Apartments This rating is a reflection of how the property compares to the industry standard when it comes to price, facilities and services available. It's based on a self-evaluation by the property. Use this rating to help choose your stay! 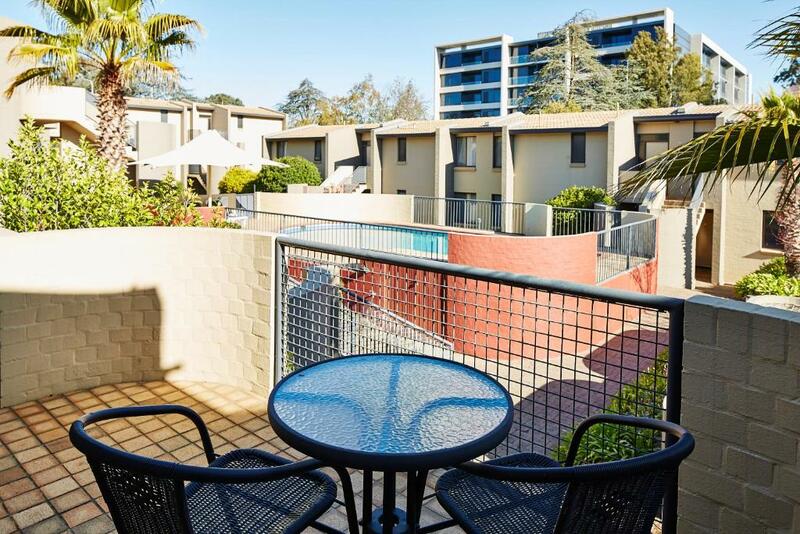 A 10-minute drive from the center of Canberra, the Manuka Park Serviced Apartments features a seasonal outdoor pool. All apartments have a full kitchen and laundry facilities. Fully air-conditioned, each apartment has a DVD player and a flat-screen TV with cable channels. The attached kitchen includes a stove, a fridge and a microwave. The staff at the tour desk can assist in organizing sightseeing trips to local attractions. Guests can rent DVDs at the front desk. 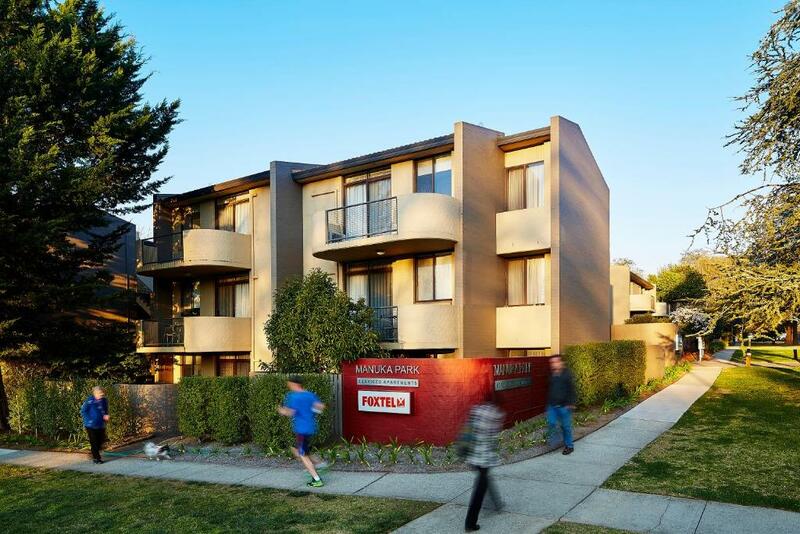 Apartments Manuka Park is within a 5-minute walk of dining options at Manuka and Kingston. It is a 10-minute drive from the National Gallery of Australia and a 15-minute drive from Canberra International Airport. 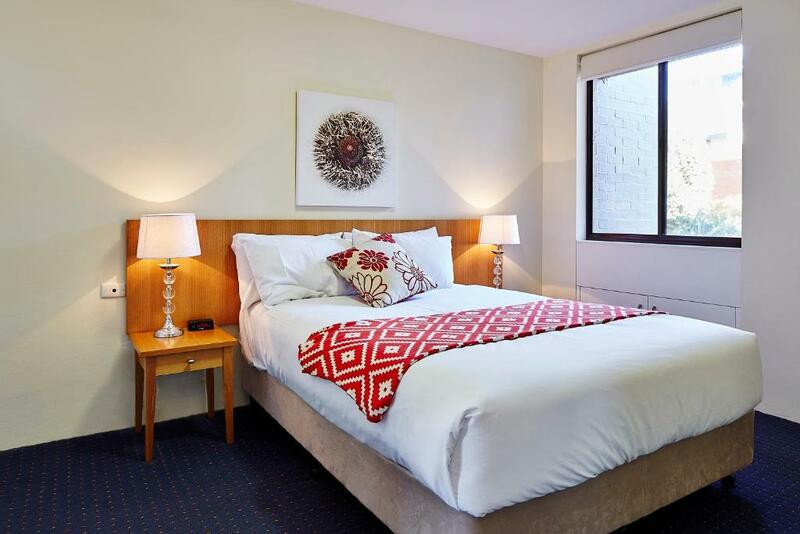 When would you like to stay at Manuka Park Serviced Apartments? This apartment features a full kitchen, laundry facilities and a flat-screen TV with cable channels. This spacious two-bedroom apartment features a full kitchen, laundry facilities and a flat-screen TV with cable channels. Enjoy resort-style living in our executive appointed 1 & 2 bedroom apartments. 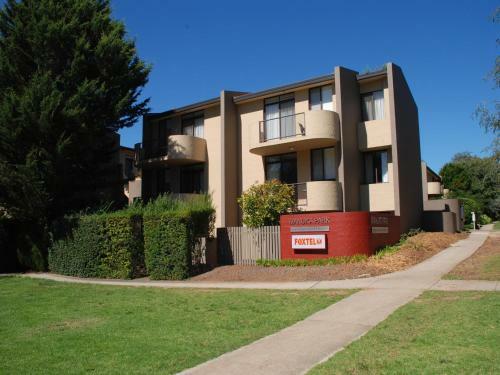 Manuka Park Serviced Apartments is close to Canberra's major attractions, boutique shopping, restaurant villages, nightlife and business precincts. House Rules Manuka Park Serviced Apartments takes special requests – add in the next step! Any additional older children or adults are charged AUD 10 per night for extra beds. Manuka Park Serviced Apartments accepts these cards and reserves the right to temporarily hold an amount prior to arrival. 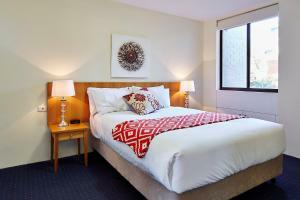 Please inform Manuka Park Serviced Apartments of your expected arrival time in advance. You can use the Special Requests box when booking, or contact the property directly using the contact details in your confirmation. We chose to stay at this property because we were participating in the Canberra marathon (perfect location for that event, approx. 2 km from the King George Terrace, which was exactly the distance we needed to run as a warm up :) The neighbourhood is very peaceful and quiet, there is a secure carpark within the property and a nice pub with good food just around the corner. The apartment was larger than expected, the afterhours check in procedure was very easy & straight forward, we appreciated a fully equipped kitchenette to cook our meal before the run and the bed was super comfy, very good night sleep. Most of all, we would like to say BIG THANK YOU to the friendly staff who allowed us to stay late and check out on the afternoon in order to recover from the run. We would definitely stay at the Manuka apartments again. The young lady at reception was awesome. She was fantastic and a real treasure. Location was great, close to Manuka and Kingston. Nicely refurbished unit. Got all you need. The shower and bathroom could have been cleaner. Shower glass needed a proper scrub to remove scum and an old toothbrush & exit mould is needed to remove black mould around taps, fittings etc. Washing machine was VERY loud - don’t put it on before going to bed! The bathroom layout was difficult for a group in that the toilet and shower were together in one room with a large recess for the single hand basin adjacent. It was poorly designed and did not work well for us. The proximity to the restaurant strip, and supermarket which was a few minutes walk. The beds were comfortable and the living area/kitchen layout worked well. The washing machine was a plus. The bed was very uncomfortable - it was like sleeping on concrete - very hard mattress.. Slight issue logging onto the wifi but when I called reception quite late ( 9.30pm) it was resolved by the duty manager in 20 minutes . it does get a little noisy , the walls are quite thin between rooms , you can hear everything !!! 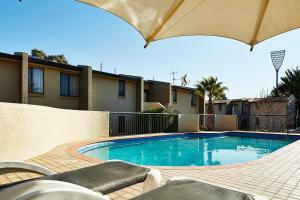 the staff are fantastic - friendly and helpful.. the apartments are spotlessly clean , location is great. Staff here called to confirm booking and checked with me the day of arrival Location to the Kingston Hotel and East Lake Club walking distance. The main bedroom was off the bathroom. Negotiating the carpark could be a bit challenging. The location is central to two restaurant areas (easy walking distance) and to all the sights we visited (by car). The decor isn’t amazing and the bathroom is a bit tired looking. Perfect for our needs - a quiet little apartment to relax in after a long day visiting friends. Wonderful that it had a washing machine, which is great for a young family! There is no fan in the bathroom, but it has a window higher than the ceiling. A little condensation does build up, biut it didn't drip. It was a good stay. An older apartment, but in really good shape. They even arranged pool access to Manuka pool because their's was under renovation. We loved the location, just a short walk to both Manuka and Kingston. A nice place. We would stay again. The price is quite high but the accommodation was worth it. The location was absolutely perfect, the rooms were spacious and well maintained. Perfect for families. The facilities in the room are modern and ensure you can cook and clean for yourself. I think the sound proof shoud be improved.